Let me just quickly mention that one of the foodstuffs I usually have ready in my kitchen's cupboard is the peanut butter. Also know as monkey butter, peanut cheese, peanut spread, pindakaas, pindaboter, peanut sauce, groundnut butter or ose oji by the Ibos, this is one nutty butter that is irresistibly delicious. I started using the peanut butter right from childhood and I doubt if I will ever resist the temptation of using this amazing butter in years to come. Through the past years, I’ve used the peanut butter as garden eggs spread, dips, meat sauce, fish sauce and bread spread. I enjoy the creaminess the peanut butter adds to dishes especially the nutty flavor that is just irresistible. Even though I do buy already-made peanut butter from the supermarkets but I usually prefer making my own version. 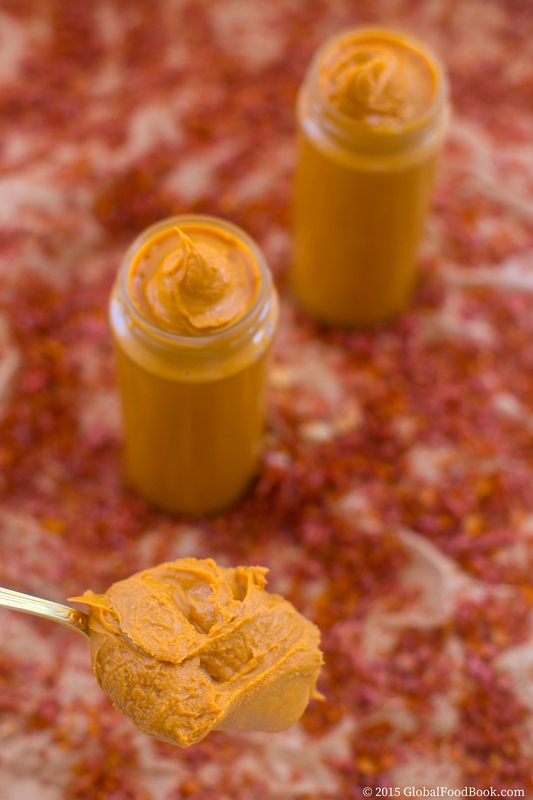 By making my own peanut butter, I can easily tweak the spices and ingredients that I want for my peanut butter to truly satisfy my taste-buds. So the other day when I was almost running out of peanut butter in my kitchen, I got thinking of making some in large quantities which will serve me longer. While pondering on how to make this butter a really flavorful and tantalizing one, I was prompted to also share the recipe so that my numerous fans can also join me and give themselves some special treats with this amazing butter. Although there are several peanut butter recipes out there, yet it is better for one to stick with what method and ingredients that actually suits you. But notwithstanding, I will still encourage you to try this homemade peanut butter recipe shared below as it is really spot on and will definitely meetup your standard of an ideal peanut butter. 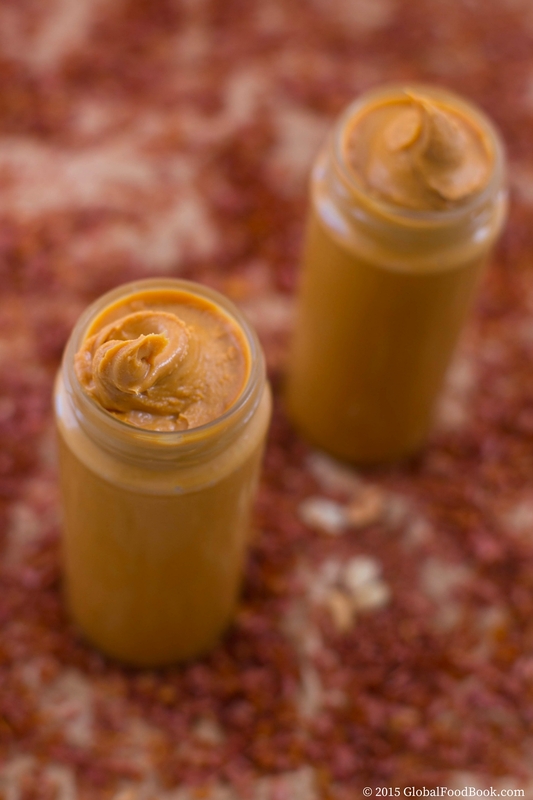 So why not rather try this homemade peanut butter recipe????? To make this peanut butter what it really is, I added few drops of vegetable oil, pepper, salt and roasted ehu seeds (Monodora myristica) for flavor. 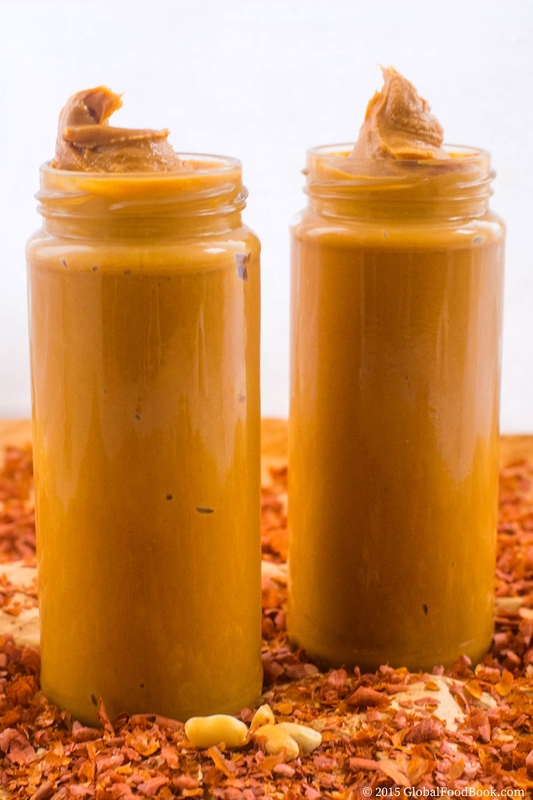 The added roasted peppers gave the peanut butter a wonderful kick of peppery hotness and both the salt and vegetable oil joined the other ingredients for extra flavorful and yummilicious peanut butter, one that I truly recommend you give a try. I don't like my peanut butter to be overly pepperish since I also use it as bread spread for breakfasts. So I only added little portion of pepper however, if you like your peanut butter a little bit peppery I would recommend you add as much pepper as you like. Just stick to what truly satisfies you!!! But you might need to watch the pepper a little closer to make sure the peanut butter doesn't get overly pepperish with excess pepper but otherwise, I think it should be okay. This peanut butter is pretty flavorful coupled with some good traces of nuttiness coming through it. Having this nutty butter in the kitchen keeps me from being tempted to spend unnecessarily at the shops when I can conveniently make for myself an irresistible butter that is as healthy as I desire. The ingredients blend up so well so that you can easily make a bigger portion that are easily available for you anytime. It is definitely something you would ever find interesting to eat unless you are allergic to nuts. Moreover, it might also interest you to know that peanut butter is an excellent source of vitamin E, protein, pantothenic acid, dietary fiber, magnesium, vitamin B6, niacin, zinc, copper, manganese, thiamin, iron, potassium and phosphorus. Peanut butter is also a rich source of saturated (palmitic acid) and unsaturated (oleic and linoleic acids) fats. I can assure you that transforming your peanuts into that jelly-like spreadable and spoonable butter you so desire is pretty simple. You are free to use either already roasted peanuts or you can decide to use raw peanuts. It is actually good that this homemade peanut butter recipe uses the raw peanuts, which means you can easily adopt the recipe in a situation whereby you are using the roasted nuts. 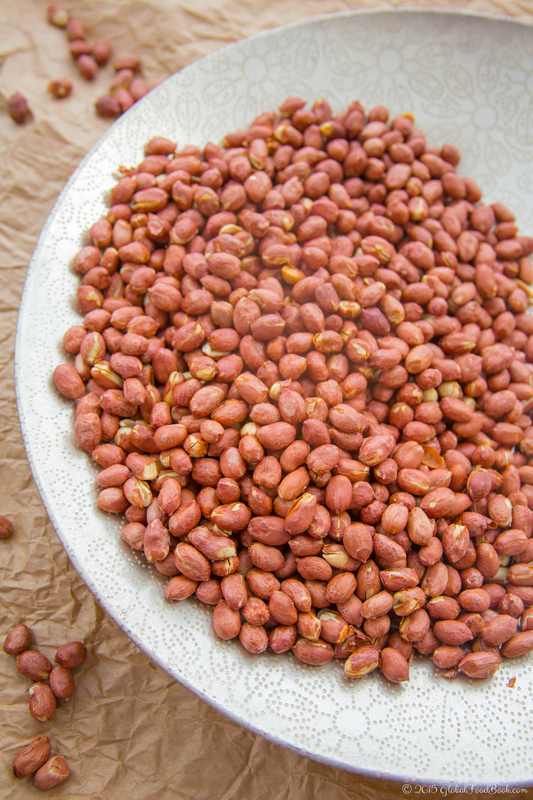 To get the raw peanuts ready for use, just add them in a bowl then pour in boiling water over the peanuts. Allow the peanuts to stay in the hot water for at least 2 mins before transferring them into a sieve to sieve out the hot water. Afterwards, add a reasonable portion of salt in the peanuts and mix thoroughly. 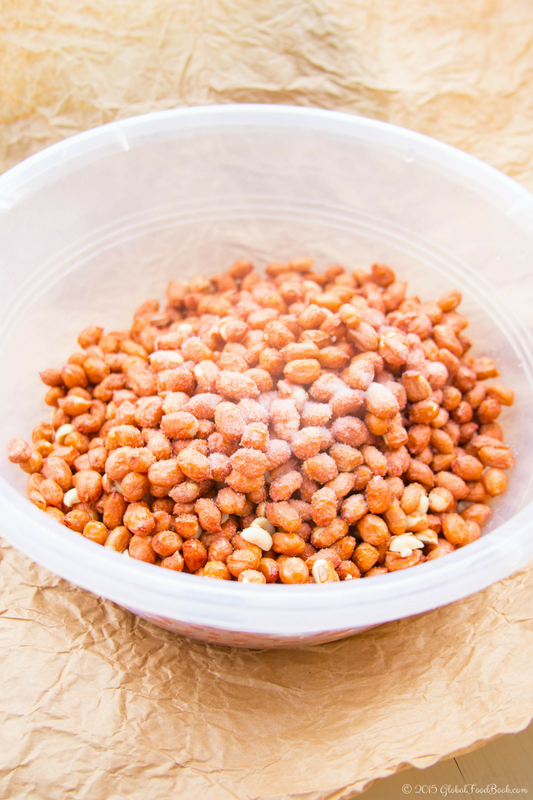 Place the peanuts in a flat plate or surface then place in the microwave. 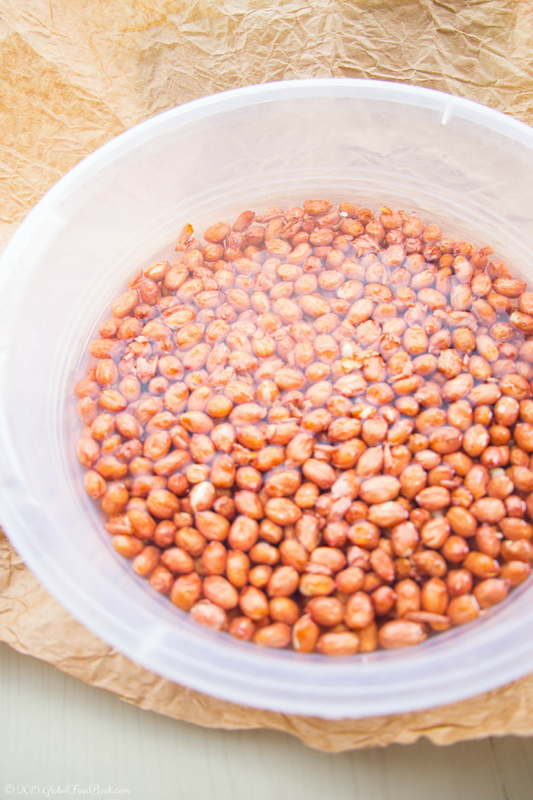 Make sure that the peanuts are spread out properly in the plate, don’t cluster them up together so that they can easily roast very well without some getting burnt and others still remaining uncooked. You definitely want the peanuts to roast evenly, so just spread them out very well on the plates before popping into the microwave. If you are roasting large quantities of peanuts, you can roast small portions intermittently. Depending on the temperature of your microwave, roast the peanuts for at least 15-25 minutes until properly cooked and dry. Then bring out from oven and allow to cool down before peeling the peanuts’ skins. 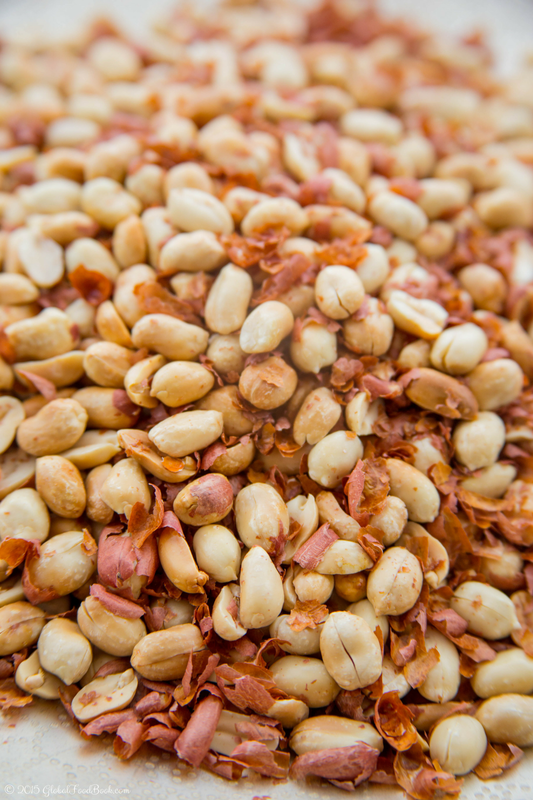 After peeling the peanuts, separate them from the skins and then set only the peanuts aside. At this stage, the peanuts are ready for making the peanut butter. Then add the peanuts, vegetable oil, pepper, salt and ehu seeds (Monodora myristica) into a food processor and blend them all up together until smooth, spreadable and spoonable to your satisfaction. 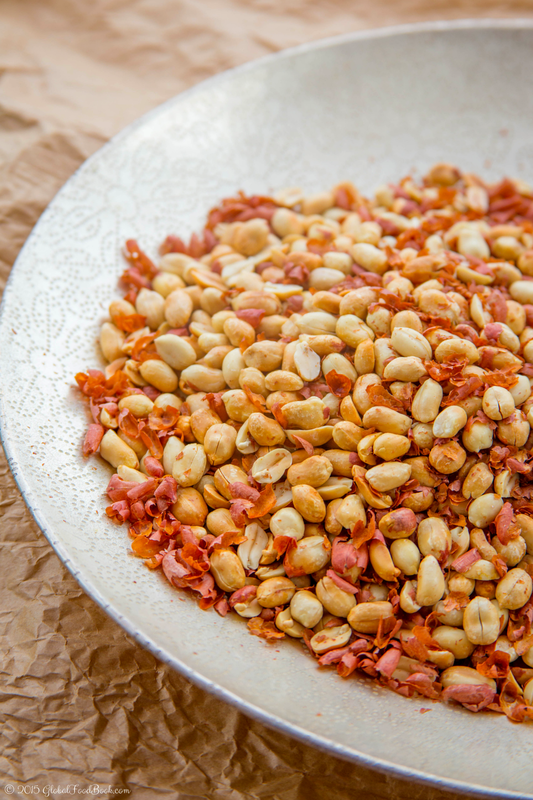 At the initial stage of blending up the peanuts, they can appear hopelessly crumbly and dry at the bottom end of the food processor, but don’t just be discouraged. 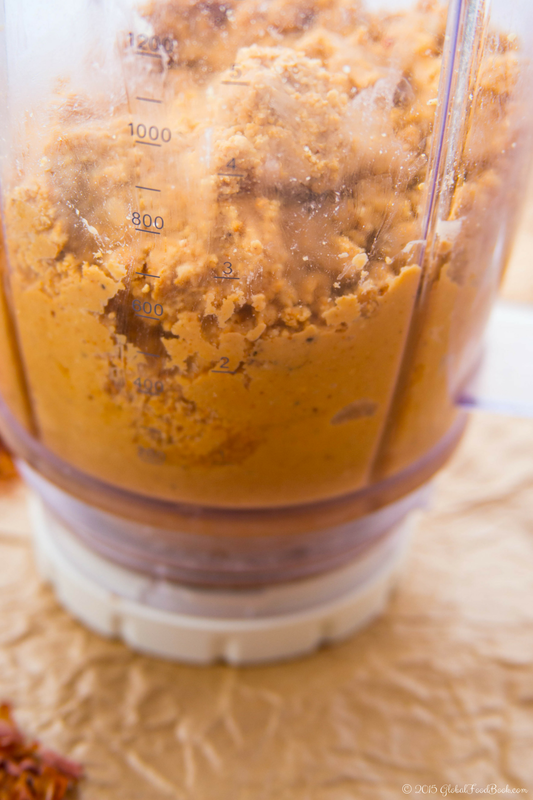 Just allow the blender to go on a little longer until the peanuts turn into that smooth, spreadable and spoonable peanut butter you so desire. What initially seemed like impossibly---rough peanut butter will suddenly transform to tender smooth and soft nutty butter you so desire. One good thing I enjoy about the homemade peanut butter recipe is that you can actually tweak the ingredients and still get a really flavorful buttery taste. So in a situation whereby you don’t want to include any of the ingredients I've used in this recipe, you can just go for what you like. You can even add sugar, honey or any other spices of choice as it pleases you. You can even decide not to add additional oil but I will encourage you to add at least a little bit of vegetable oil or sunflower oil as it helps to boost-up the creaminess. This same homemade peanut butter recipe is also applicable to any other nuts butter recipes such as almond butter, cashew nuts butter, pistachio nuts butter etc. Simply apply the same roasting and blending technique to any of such nuts for some really nutty-flavorful butter. Peanut butter is a wonderful ingredient for preparing assorted dishes such as beef barbecue, cookies, breads, sauces, candies and crackers. Due to its nutty flavor, peanut butter blends very well with other flavors to give your dish some really irresistible aromas for your delight. 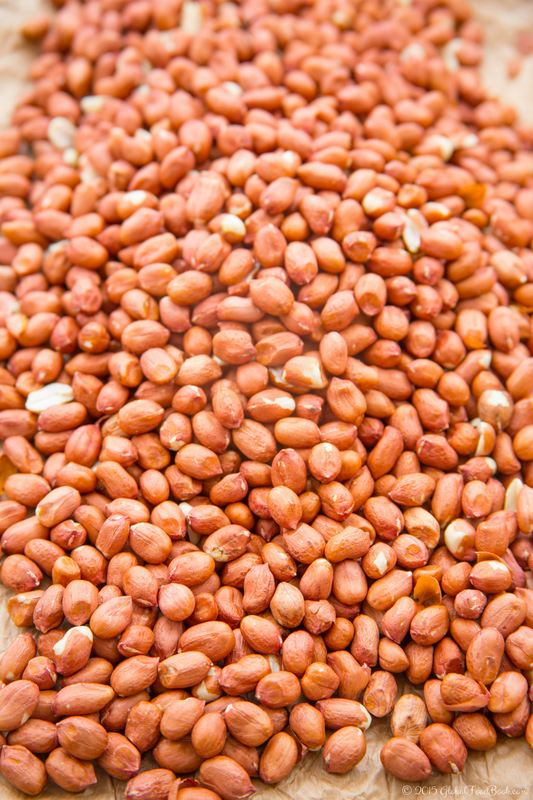 Despite the wide usage of peanut, most people especially kids are very allergic to it. Peanut allergy is a common food allergy caused as a result of consuming peanuts. 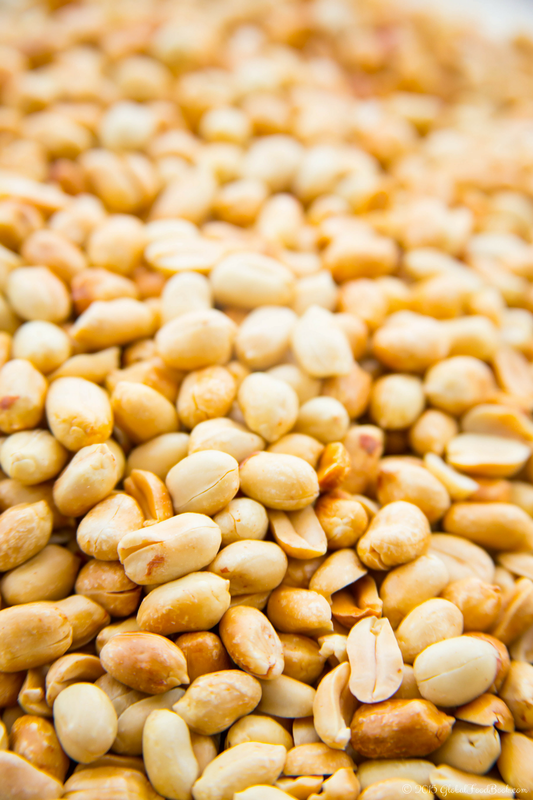 The physical symptoms of allergic reactions caused by peanuts include; cardiac arrest, itchiness, abdominal pain, sneezing, urticaria, asthma, swelling, drop in blood pressure level and eczema. Its is however, highly advisable to ensure that you are not allergic to peanuts before consuming peanut butter so as to prevent any allergic reactions to your body. I sincerely hope you will consider giving this homemade peanut butter recipe a try as the flavour combination is just mind blowing. Lastly, I’d love to know your thoughts once you’ve given this recipe a go! Feel free to share your opinions in the comment box and I hope you enjoy this nutty butter! Follow the steps outlined above in this post to get the peanuts ready for use if you are using the raw ones. 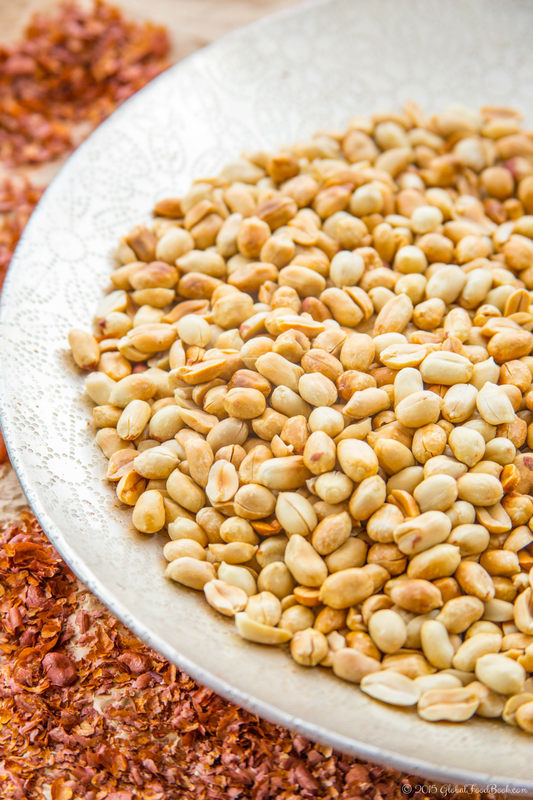 Once the peanuts have been roasted, peeled and ready for use, then add them into a food processor. Add the vegetable oil, pepper, salt and ehu seeds (Monodora myristica) into the food processor as well. Blend them all up together until smooth, spreadable and spoonable to your satisfaction. 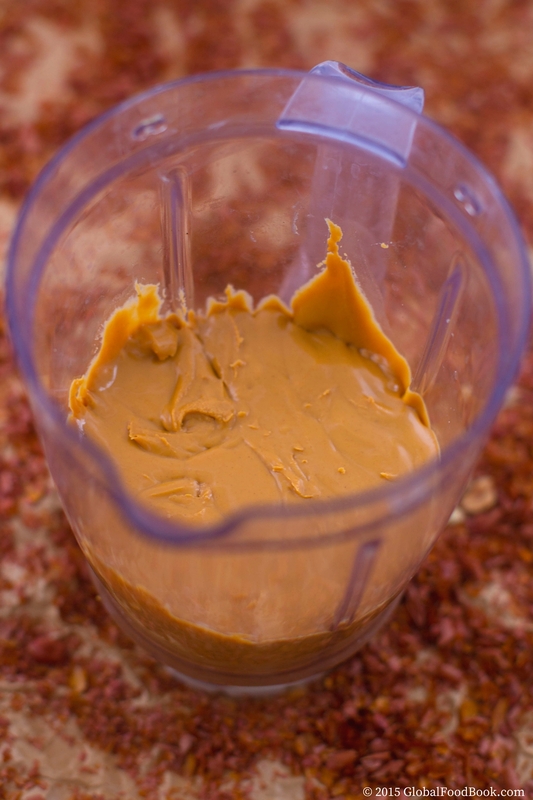 Serve and use your homemade peanut butter as desired.